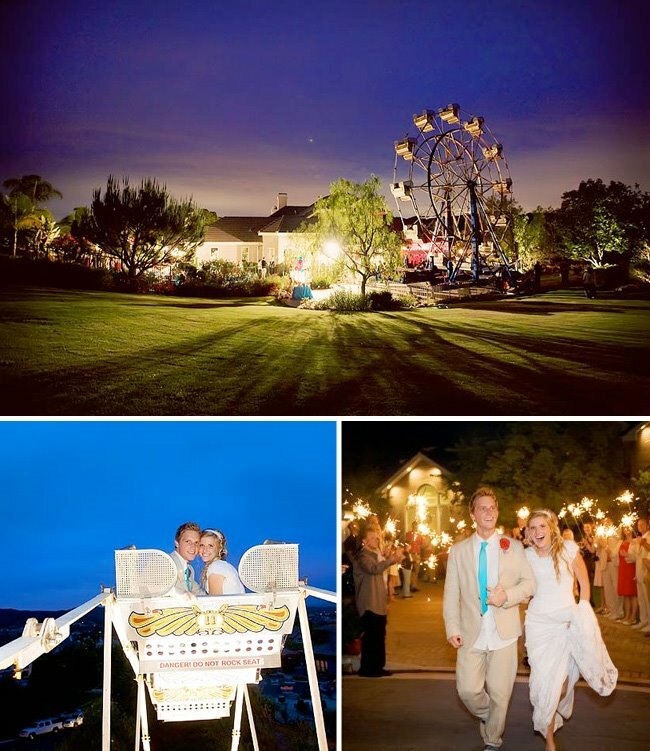 I’m so excited to share this fun vintage carnival wedding of Doug + Paige. 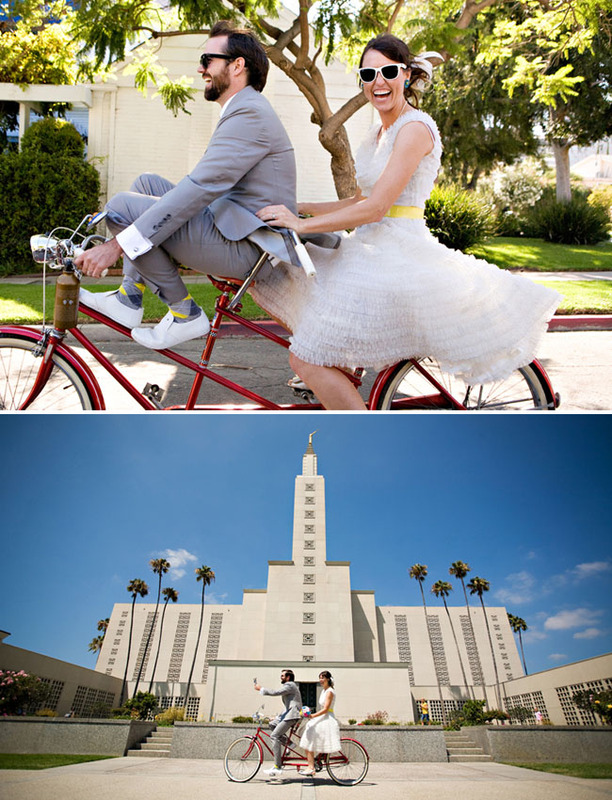 Their ceremony was at the LDS Newport Temple in Newport Beach CA. After the ceremony, they went to the beach for some fun photos. 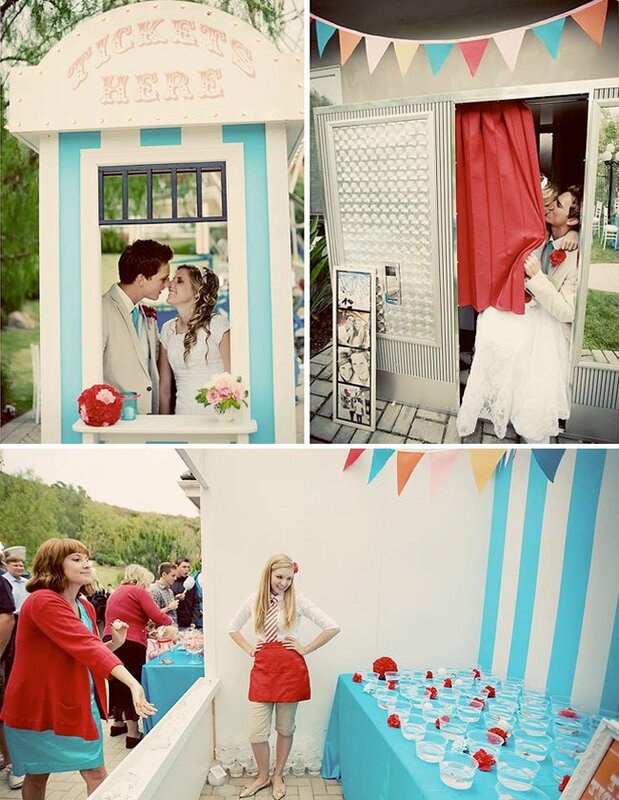 Then, it was time for their vintage carnival themed reception! How sweet is this!? The wedding was designed by the very creative Heather and her team at Amorology and the photography is by the talented Jamie Hammond. This looked like such a fun wedding! They had a a ferris wheel, balloon artist, photo booth, carnival games, you name it! Thanks so much to Heather and Jamie for letting me share this fun wedding with you guys and congrats to Doug + Paige on your wedding! The color palette was aqua, red and soft cotton candy pink. The bridesmaids dresses were custom made by Paige’s sister (as well as the red feather headbands). I love Paige’s hair. 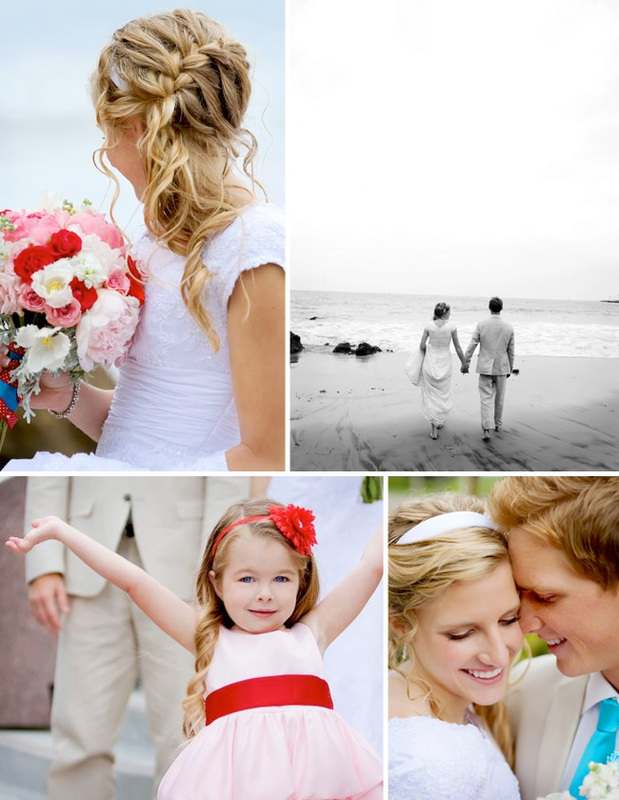 Oh, and the flower girl – so adorable! 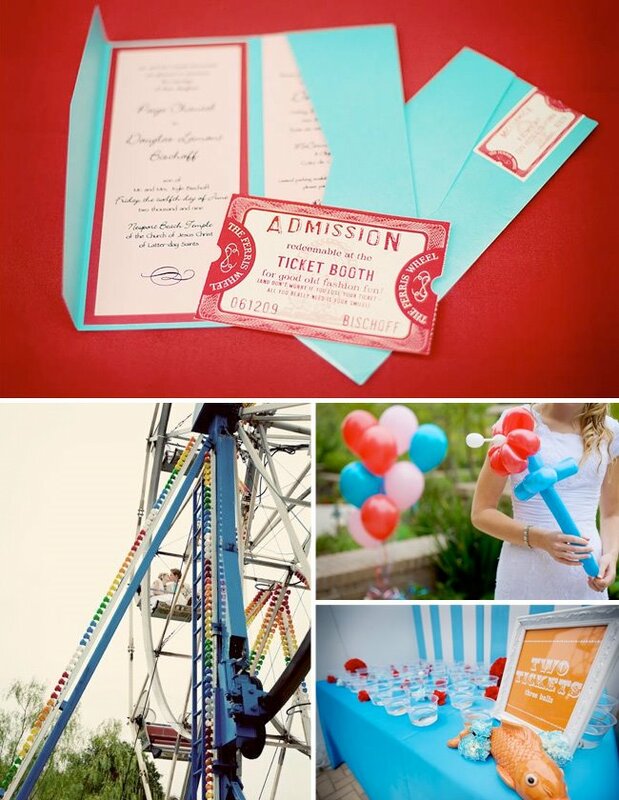 The invitation was created by Details by Ramey and it was a perfect introduction to the fun that was to come. Included in the invitation was a large ticket that was redeemable at the ticket booth for tickets to be used throughout the night. Each guest was handed enough tickets to visit each vendor at the carnival. The tables were placed with various shades of rolls of tickets that raised up the centerpieces and gave height to the gorgeous arrangements of dusty miller, peonies, roses, stock and gerbera daises created by Twigg Botanicals. Mason jars tied with red grosgrain ribbon also found their way to the table to serve as candle votives. I love this candy booth filled with all types of candy. The custom pennants were made by Jenn of Pincushion Princess and hung against the striped booth backdrops that Armorology created. All of the vintage style ticket signs were designed by Courtney Scowby Designs. The cake was done by Heidleburg Bakery in Orange County. Want to see even more? Check out these posts here and here on the Amorology Blog. That looks amazing! And who wouldn't want to be a guest at that wedding?! Officially my favorite wedding ever!! Wow, so cute! wow! what a fun day. love how it is so different from a typical wedding reception. thanks for an inspiring blog! Absolutely splendid! I love the colors… a ferris wheel?? OMGoodness! oh wow! i'm speechless – so beautiful! and fun! 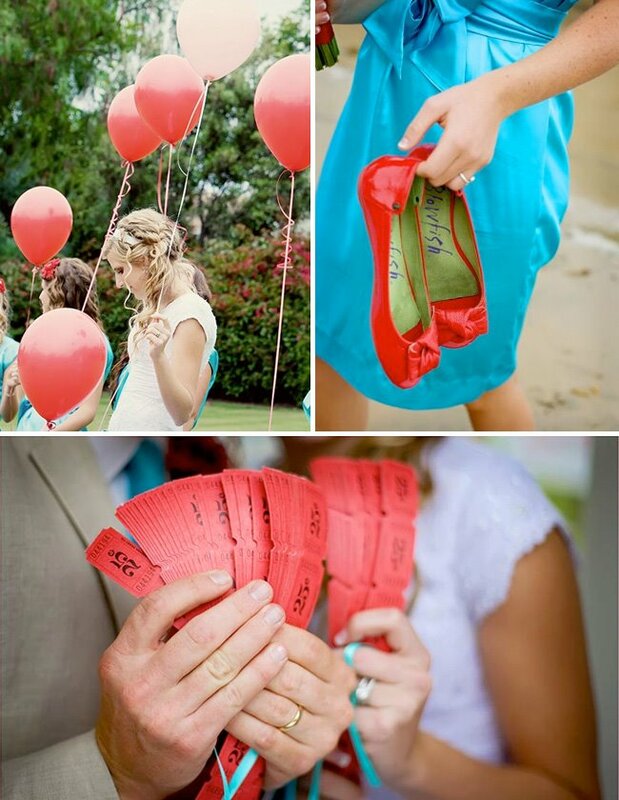 This is such a fun idea for a wedding theme! The color scheme is absolutely gorgeous. 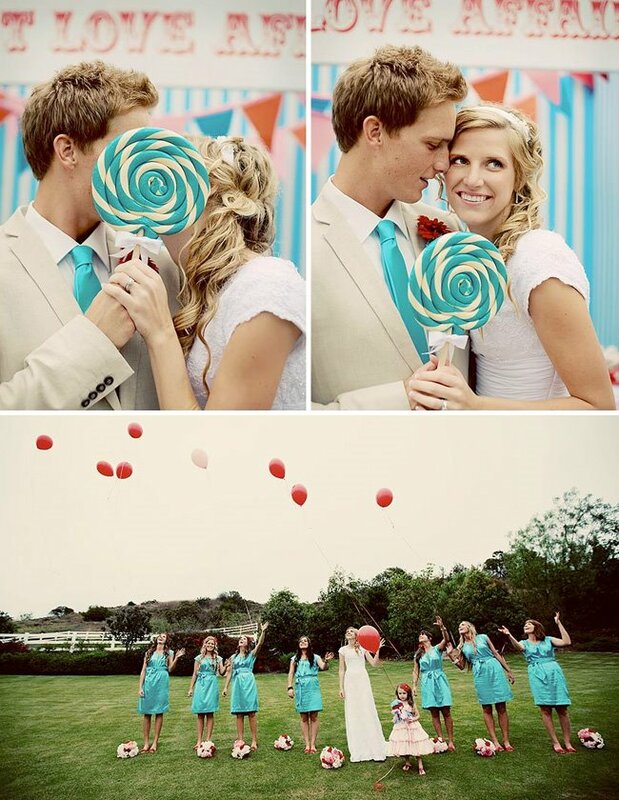 That looks like it might be the most colorful and fun wedding ever! Love it! 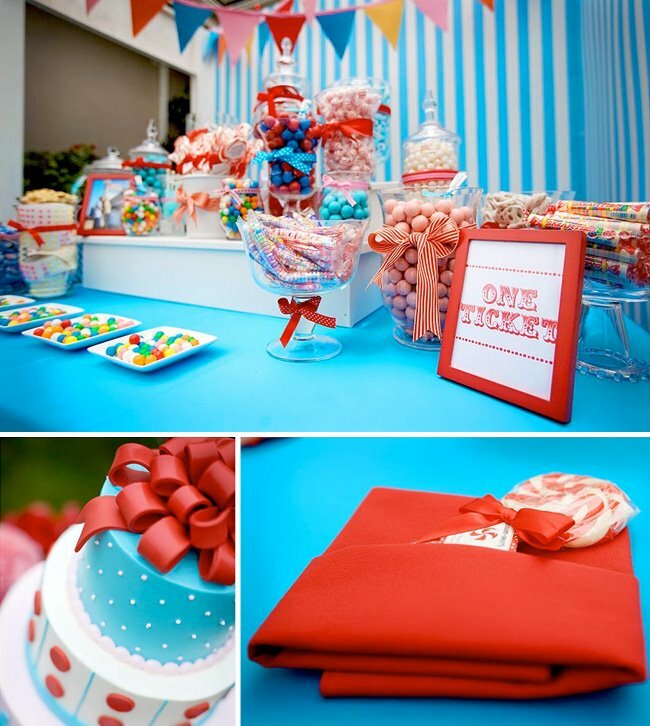 So cute and fun, and what a killer color palette! This is a ridiculously awesome wedding! Thanks for sharing. holy moly, such an adorable wedding. Love her hair too! It's so cute, but it's a little too theme-y for me for a wedding. The bride and groom are darling though. I love the color palette too. I would kill for that ferris wheel to use for a birthday party for my daughter. We had a carnival for her 3rd birthday , but could only find a small carousel. WOW. Just wow. The whole things is amazing, all of the thought that went into the details – I'd love to be able to be that creative someday. I had a great time finding and then playing around on your blog yesterday! VERY fun find! Happy Friday. Love your photos. Just love them. that is the most awesome wedding ever! so adorable! Wow! Great wedding! I just love the pictures here!!! Now that's my idea of a great wedding! I just love every piece of this wedding! So colorful, vibrant and makes me wish I was there!!! 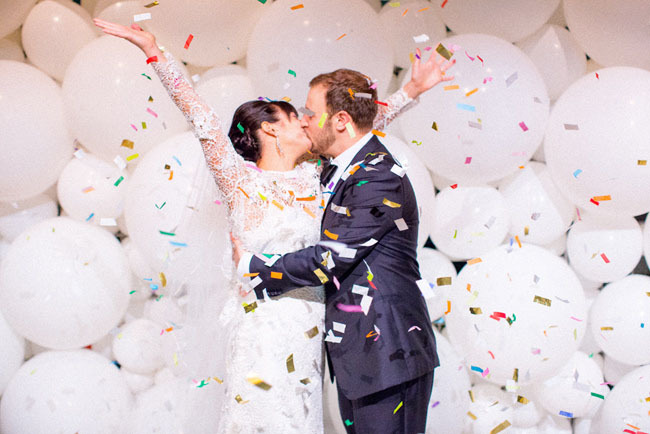 Love all the real weddings you've been covering – they are amazing! I've been drooling over the idea of a ferris wheel for awhile now and now you show it to me, and in my neck of the woods too! Does anyone happen to know where it was rented from??? I WANT ONE!!! This wedding just topped my list as my favorite! I absolutely love all of the details and how everything tied together so effortlessly. 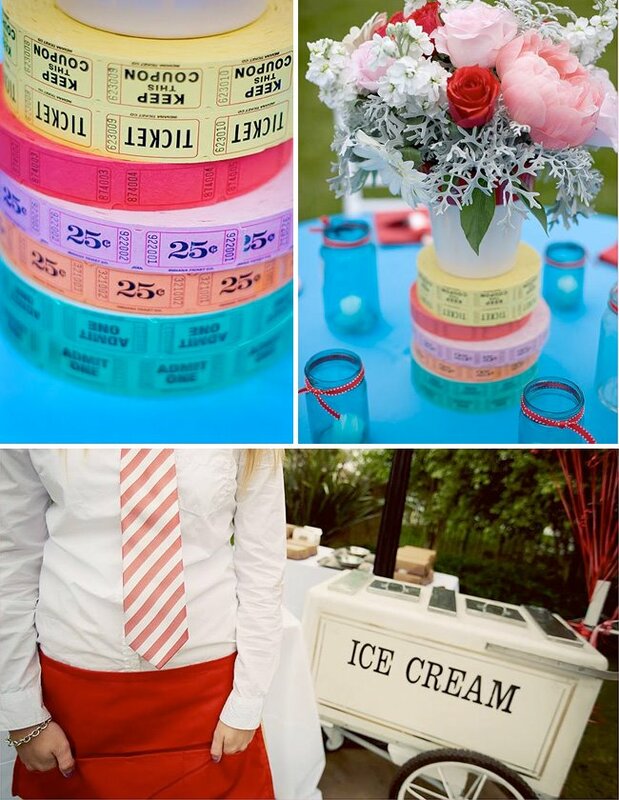 I really think the ticket centerpieces and the invitations were brilliant! I have to know where they got the giant lollipops. I've been looking for some for my wedding, and I can find is the standard rainbow-colored ones. Any idea? Its so fun to see an LDS Wedding on here. I really appreciate it! 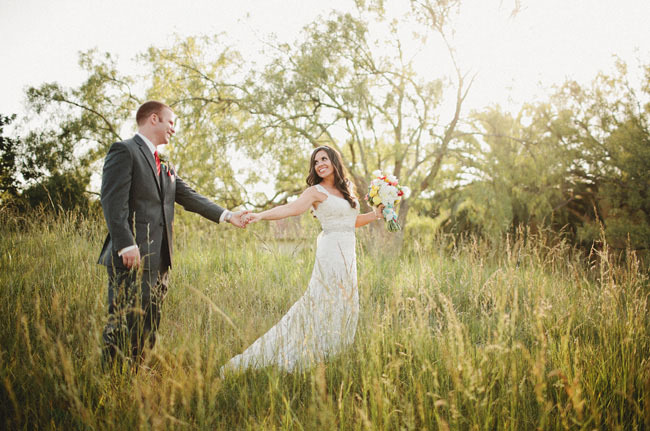 I loved everything about this wedding! Thanks so much! I LOVE this wedding! I'm a huge fan of the carnival theme, and a huge fan of your blog as well! Oh my gosh! I've been to many weddings but this one takes the cake! How fun! What a creative wedding! So totally cute! Linking to this post on my own blog! Loving everything about this wedding! If anyone can tell me where her dress is from I would be UBER greatful!!! Yes! Where is her dress from? ?